How do you judge others? 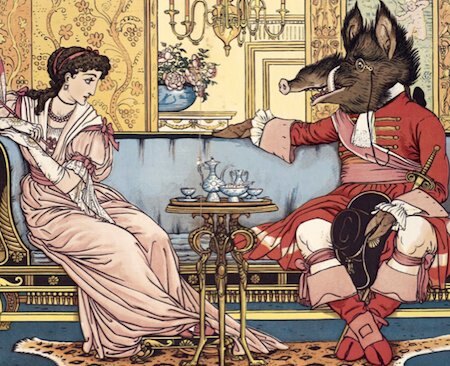 Detail from Walter Crane’s “Beauty and the Beast.” Image from branchcollective.org. Judging people is a difficult, but necessary part of running a business, managing a team or being a volunteer leader. It’s especially crucial if you are an independent consultant since you are often entrusting your future in partners, vendors and clients that can lead to success or result in headaches and frustration. I’ve written before about the importance of soft leadership skills, what Daniel Goleman calls emotional intelligence or EQ. 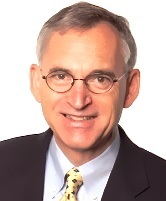 His research in the 1990s at nearly 200 large companies led him to conclude that EQ is twice as important as technical skills in determining success. EQ includes self-awareness, motivation, empathy and social skills. A pair of recent articles about judging people and engaging them in conversation drives home the point that if you’re the one in your organization making people decisions, you really need to flex your EQ muscles. Anthony K. Tjan posted a helpful piece in June on the HBR Blog called “Becoming a Better Judge of People.” He notes that it’s easy for us to judge people on their “extrinsic markers” such as job title, net worth, or even how many Facebook friends or Twitter followers they have. Is this an energy-giver or -taker? There is a certain breed of people who just carry with them and unfortunately spread a negative energy. You know who they are. Alternatively, there are those who consistently carry and share a positivity and optimism towards life. There is a Chinese proverb that says that the best way to get energy is to give it. Energy-givers are compassionate, generous and the type of people with whom you immediately want to spend time. Is this person likely to “act” or “react” to a task? Some people immediately go into defensive, critical mode when given a new task. Others jump right into action and problem-solving mode. For most jobs, it’s the second kind you want. Another piece worth looking at is Shane Parrish’s “Ten Techniques for Building Quick Rapport With Anyone” on his Farnam Street blog. (BTW, Farnam Street is a great blog!) Let’s face it, if you’re a lousy conversationalist, you’ll never find out enough about other people to judge whether they are a good fit for your team or project. Parrish’s post is actually a summary of the book “It’s Not All About ‘Me’” by Robin Dreeke, an instructor at the FBI’s Counterintelligence Training Center in behavioral and interpersonal skills training. So you know there’s some good insight here on mastering interpersonal communication. This is the simplest and one of the most effective. Just listening to someone can produce amazing results. True validation coupled with ego suspension means that you have no story to offer, that you are there simply to hear theirs. And there is another benefit. When the focus is on the other person and we’re not anxious to tell our own story, we also tend to remember the details. We’re mindful. … few people naturally use this to its fullest potential, and, most of the time, we don’t realize when it is being used; all we know is we really like the person who gives it. Demonstrating thoughtfulness in words and actions with everyone in our lives is a simple and effective way to improve our relationships. But if you remember that we like people who are like us, you’ll immediately grasp the power of validating the thoughts and opinions of others. The best way to get someone to do what you want them to do is to have them come up with the idea. The best way to have them come up with your idea is, no surprise, to honestly understand the other person’s point of view and then build upon that base with your ideas. This entry was posted in Careers, Leadership, Management and tagged Anthony K. Tjan, conversation, Daniel Goleman, Emotional intelligence, Farnam Street, HBR, judging people, Robin Dreeke, Shane Parrish, validation. Bookmark the permalink.